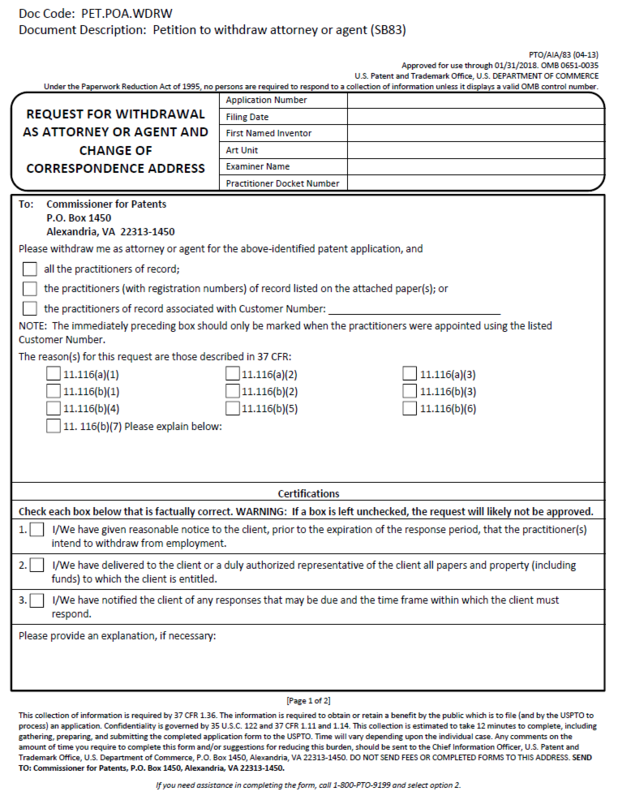 For a practitioner to withdraw from a patent and/or a reexamination proceeding, the Office no longer requires that there be at least 30 days remaining in any running period for response between the approval of a request to withdraw from representation and the expiration date of any running period for response. 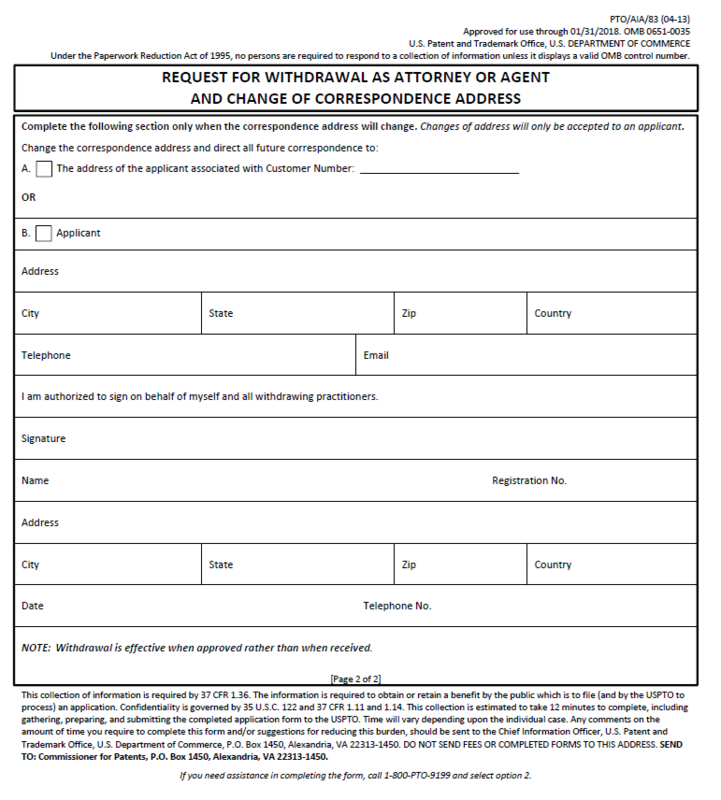 Instead, pursuant to 37 CFR 11.116, the Office requires the practitioner(s) to certify that he, she or they have: (1) given reasonable notice to the client, prior to the expiration of the response period, that the practitioner(s) intends to withdraw from employment; (2) delivered to the client or a duly authorized representative of the client all papers and property (including funds) to which the client is entitled; and (3) notified the client of any responses that may be due and the time frame within which the client must respond. “Reasonable notice” would allow a reasonable amount of time for the client to seek the services of another practitioner prior to the expiration of any applicable response period. 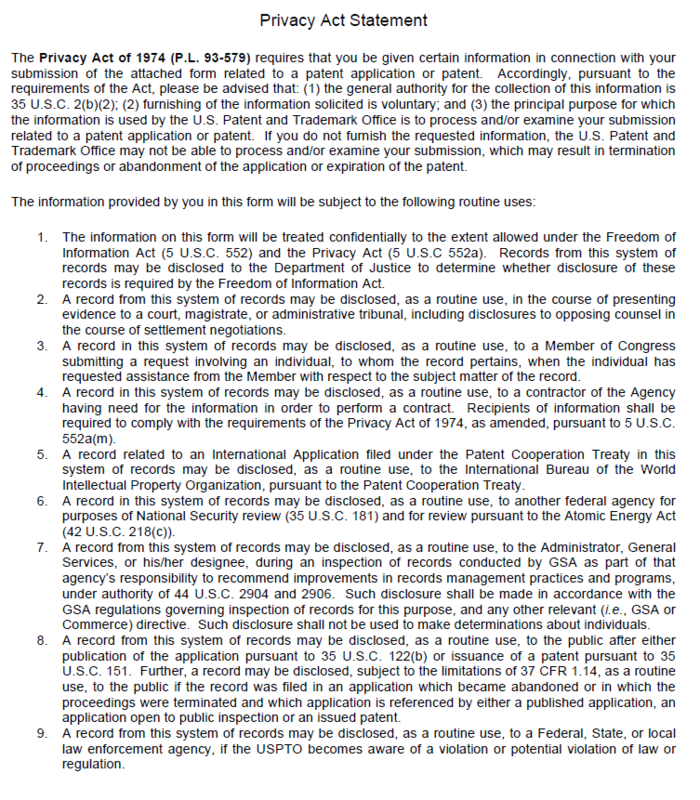 See also MPEP § 402.06.